While there are several challenges to increasing electric vehicle (EV) and other alternative fuel vehicle sales, I would say that gasoline prices are one that don’t get mentioned enough. The uprisings in Iraq and Syria caused analysts to forecast increases through this year, but that is not the case today. A survey by analyst Trilby Lundberg reported that gas prices have been down 34 cents since the beginning of summer. GasBuddy is predicting the downward trend will continue. The US Dept. of Energy (DOE) estimates the national average gasoline price for all of 2014 will be $3.46 a gallon, its lowest annual average since 2010. The DOE predicts the average will fall again, to $3.41, in 2015. Survey researchers at Indiana University released an exhaustive study that found consumers are misinformed about EVs – with 75% incorrectly underestimating the benefits of the vehicles. Softening gas prices tend to hit hybrids the hardest in new vehicle sales and used vehicle values. With gasoline prices staying down for now, the challenge increases on how to inform consumers and fleets about the gains available through EVs, hybrids, natural gas vehicles, propane, and hydrogen. The UN Climate Summit took place last week at the UN Headquarters in New York City. It all started on Sunday, Sept. 21 with the People’s Climate March where more than 300,000 people took the streets in the largest-ever climate change rally. The purpose of the conference was to raise support for a worldwide climate agreement in Paris in 2015. In a speech at the summit, President Obama called for a more ambitious global approach to environmental issues; he talked about a new push to boost what the White House calls “global resilience” in the face of climate change. Environmental groups such as Natural Resources Defense Council and Sierra Club were pleased to see the street march on the 21st, and have called on the White House and US Environmental Protection Agency to stay committed to reducing carbon at power plants and through energy and transportation policies. US Department of Energy’s Clean Cities issued a reminder on fleets earning credits on the Alternative Fuel Transportation Program. Covered fleets can earn credits for some vehicles that don’t meet the Energy Policy Act of 1993 definition of an alternative fuel vehicle (AFV). The new policy adds half credits for certain hybrid electric vehicles, plug-in EVs, and fuel cell vehicles; and one quarter credit for neighborhood electric vehicles. Medium- and heavy-duty hybrids are also eligible for a half credit after a fleet has met its light-duty AFV acquisition requirements. Well, well, well………. Tesla Motors officially exists in the auto industry. Automotive News, the “bible” of the auto industry, has asked Tesla CEO Elon Musk to be a featured speaker at Automotive News World Congress in January. Now, if anybody boos and hisses at him from the audience……..
Westport Innovations Inc. released its newest proprietary technology, the first generation of enhanced spark-ignited (ESI) natural gas system. The new natural gas combustion technology is designed to provide vehicle and engine original manufacturers (OEMs) with a “downsized” natural gas solution that is cost competitive while providing similar levels of power, torque, and fuel economy to a larger diesel engine. Stevens Creek BMW in Santa Clara, Calif., is offering a good deal on a BMW i3 lease. It’s offering a $369 per month payment on a 36-month lease with $3,995 due at signing. Sales of the BMW i3 were about $350 a month for its first three months on the market before being increased. Sales have been very strong – 2,082 units sold from May to August, and a spike in numbers during August at 1,025. The Tesla Model S now has a direct competitor. Hewlett-Packard, Lowe’s and Home Depot were among the 2014 winners of the US Environmental Protection Agency’s SmartWay awards. Freight transport companies are honored for improving fuel efficiency, reducing greenhouse gas emissions, and reducing air pollution. The award honors top truck, intermodal, and rail carrier partners that are setting efficiency benchmarks in how they move products and supplies. 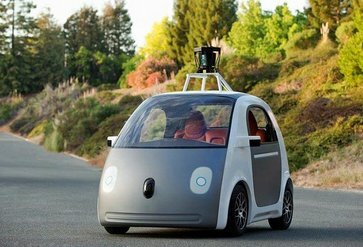 University of Michigan Energy Institute professor John DeCicco thinks that self-driving cars can make transportation much greener and more sustainable. Connecting cars to the infrastructure around them can make traffic flow much more efficiently, along with other gains. I think I might agree with him. Former GM vice chair Bob Lutz made another interesting statement: Tesla Motors will only be a “fringe brand” until it introduces the smaller and less expensive Model 3 in late 2017. Lutz also thinks Tesla stock is “grossly overvalued” for now. Standard Oil tycoon John D. Rockefeller’s heirs are divesting from fossil fuels. The $860 million philanthropic organization, the Rockefeller Brothers Fund, will be divesting from stock in fossil fuels because of its harmful impact on climate change. The announcement was timed to coincide with the UN Climate Summit. Disruptive technology: What will we be doing to make a living in 25 years? As covered last week, AltCar Expo keynote speaker Tony Seba made some outrageous statements about the future of transportation technology and economics. The Silicon Valley entrepreneur and Stanford University lecturer inspired humorous comments from panel speakers, and interesting conversations for attendees who had just heard him speak – inspiring for those supporting electrified transportation and solar power and ominous for those making their living in automotive, transportation, and other industries. A question that stuck in my mind: What will Ford Motor Co., Hertz, Mack Trucks, Manheim, and mega-dealers be selling 25 years from now? The auto industry played an integral role in the development of “disruptive technology.” One interesting point was seeing photos of a street in New York City in 1900 and then in 1913 – with one car featured in 1900 and the street filled with them 13 years later. Seba thinks we’re full bore into another disruption cycle that will radically alter the products and services offered in automotive and transportation. Lithium batteries are going down 14% in cost per year, and that’s expected to continue for the foreseeable future. Tesla Motor’s “gigafactory,” once it’s up and running, will be able to double the word’s supply of these batteries and will bring their prices down even further. By 2018, automakers will be offering $40,000 battery electric vehicles (EVs) that can get 200 miles per charge. Disruption will continue – by 2020, that price will drop to $31,000 and its range will be comparable to, or better than, internal combustion engine (ICE) powered cars. By 2023, average EV prices will go down to $21,000. He says that by 2030, all mainstream cars will be electric and ICEs will be obsolete. As for autonomous cars, disruptive technology will see a big price drop and become economically viable for the future of transportation. In 2012, a LIDAR (light radar) system cost $70,000 for a test self-driving car. That now costs $10,000 per driverless car. As for what consumers think about it, a recent Cisco Systems survey found that 95% of Brazilians are willing right now to use a self-driving car, and 60% of Americans are willing to do the same. Autonomous vehicles, along with carsharing services like Zipcar and ridesharing services like Uber, will be game changers. Annual sales of new vehicles will shrink, highways will open up, and many of the parking spaces we have in our cities will go away. Highway capacity can be increased four times when autonomous vehicles show up on our roads; there will be no need for 80% of our parking spaces as autonomous vehicles show up exactly when and where they’re needed by the owner. The insurance industry will also take a big hit as the need for car insurance will diminish. As for solar power, installation of solar panels has been increasing 43% per year worldwide since 2000. If this continues, all of the world’s energy will be solar by 2030, he says. When the question of hydrogen fuel cell vehicles came up, Seba made comments that obviously didn’t go over too well with hydrogen advocates. Hydrogen is not a disruptive technology and works much the same way as gasoline in production and pipeline/trucking distribution. EVs are three-to-four times more energy efficient than hydrogen. Seba may be way too off the mark on several of his conclusions, but he’s right about one thing: technology and economics are going through a historic shift right now. The role of automakers and transportation companies is changing – which is why we’re seeing automakers startup car sharing services and test out self-driving cars. It’s also a driving force behind nearly every automaker rolling out an EV and other alternative fuel vehicles. As AltCar Expo reminded me and colleagues last week, going to one of these events is worth all the investment of time and money. It’s great to connect with others and build relationships necessary to move forward on the regulatory front and in getting the word out on innovative vehicles, fuels, and technologies; and to stay current on issues looming up on the horizon. 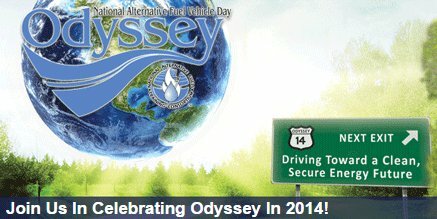 As for what’s coming up next, here are four events to consider: Odyssey – National Alternative Fuel Vehicle Day launches on Oct. 17, 2014. Odyssey is a biennial event from the National Alternative Fuels Training Consortium (NAFTC) at West Virginia University and the U.S. Department of Energy’s Clean Cities. Events are held across the country and sometimes on other days, and are designed to bring national attention to alternative fuel vehicles and advanced technology vehicles as a cleaner and more efficient choice for transportation. For those in Southern California looking for an Odyssey event, consider attending Wings Wheels and Rotors Expo on Sunday, Oct. 26, at Joint Forces Training Base in Los Alamitos, Calif. Long Beach Clean Cities will have a booth there (where I’ll be tabling for a couple of hours). In other events…… For North American Green Fleet Forum & Green Fleet Expo in Sacramento, the early bird discount deadline is October 1st for the 50% off the two day registration for all events, tours, and NAFTC Petroleum Reduction Training. The conference will be held on Oct. 15-16……. Two other clean transportation events to consider: Green Fleet Conference & Expo is Oct. 29-30 in Schaumburg, Ill. Natural Gas Vehicle Conference & Expo will be held Nov. 11-14 in Kansas City, Mo. Mercedes-Benz r&d chief Thomas Weber said that every M-B model will have a plug-in hybrid version in the next few years. This happened at a press conference for the automaker’s first plug-in hybrid, the S550 plug-in hybrid. As for other cars, it will cover the C class, E class, and replacements for the GLK class that will be called the GLC class and for the M class that will be called the GLE class. Timing hasn’t been released on the entire lineup yet, but Weber said 10 plug-in hybrids would be launched by 2017. Electric trucks just lost another OEM – Boulder Electric Vehicle has closed down its production facilities in Lafayette, Colo., and Chatsworth, Calif. The company isn’t filing for bankruptcy and will be around to service vehicles that are in use with fleets primarily in Los Angeles, Texas, New York, and Chicago. California Gov. Jerry Brown just signed bills that should help boost electric vehicle sales. The Charge Ahead California Initiative, introduced by Sen. Kevin de Leon (D-Los Angeles) has set the goal of seeing one million zero emission and near zero emission vehicles on the roads by Jan. 1, 2023; one way this will be supported is making the vehicles more affordable for low-income neighborhoods. The state Air Resources Board has been directed to draft a financial plan to hit the one million target while making sure that disadvantaged communities can participate. The clean-vehicle rebate program will provide an extra credit for low-income drivers; it will also provide assistance on using carsharing programs and installing charging stations in apartment buildings in those communities. Carpool lane stickers will be increasing through AB 2013 by Assemblyman Al Muratsuchi (D-Torrance). It raises the cap on the Green Sticker program for electric vehicles from 55,000 to 70,000 new cars. Fisker Automotive’s owner Wanxiang Group is going to speed up re-launch of the Fisker Karma. Wanxiang will be using a design from the company’s last year of production in 2012 for reintroduction of the plug-in hybrid sports car by next year. The Union of Concerned Scientists say that electric vehicles (EVs) are doing good – in much of the country, they’re cleaner in emissions per miles driven than even the best of the hybrids. However, the group said that EVs are cleaner than hybrids in only 45% of the country. The reason for that conclusion: the majority of the electricity used to charge the vehicles was generated at coal-fired power plants. Tesla Motors took more action on legal battles with dealers. In New Jersey, Tesla filed in court arguing that New Jersey regulators don’t have the authority to shut down its direct sales. That goes against an April ruling by the New Jersey Vehicle Commission blocking sales at Tesla stores in New Jersey as of April 15, 2014, when their licenses expired. In Massachusetts, Tesla says that the high court’s recent ruling supports the automaker’s central argument about its right to set up retails stores and sell its electric vehicles directly to consumers. Dealer groups say that a ban on factory stores still exists despite the court’s ruling. Propane use continues to expand as more public transportation fleets adopt it along with school bus fleets. Six US-based public transit fleets received awards last week from Metro Magazine and Propane Education & Research Council during BusCon Expo in Indianapolis. A Canadian bus operator has also joined the propane autogas community. Southland Transportation Ltd, which operates school, charter, and specialized buses in Alberta and Saskatchewan, has taken delivery of 101 new Vision propane-powered school buses from Blue Bird Corp.
A German court lifted the ban on Uber. The leading ridesharing company and its drivers had been banned from Germany. The temporary injunction had been imposed by the court at the end of last month before a hearing could be held. California just issued 29 permits for testing self-driving cars in the state on public roads. Audi was proud to receive the first two of them, but 25 of them went to Google Inc. for testing 25 adapted Lexus SUVs. Two more went to Mercedes-Benz. Audi has taken a lead on test programs, being the first to be granted a permit in Nevada, and the first to test Florida’s “connected car” expressway. The conference format was different this year. The panel topics were broken out into three sections on Friday – Fleets Track, Policy Track, and AltBuild Energy Track. NAFA Fleet Management Association presented workshops with Katherine Vigneau, professional development strategist, and Bryan Flansburg, director of transportation at University of Colorado and NAFA vice president, educating attendees through the association’s Certified Automotive Fleet Manager (CAFM) program. The role of state and local governments in converting over to alternative fuels, and the role that PEV Collaborative has played in California, were discussed during the policy track. AltBuild Energy co-located with AltCar Expo for building planners and designers to collaborate and discuss energy efficiency and the alternative fuel infrastructure. One of the highlights was listening to Tony Seba, Silicon Valley entrepreneur and Stanford University lecturer, making far-reaching forecasts about electric transportation, autonomous vehicles, and solar power. The statements were “outside the box” enough to be humorously mentioned by panelists during later presentations. One interesting point was seeing photos of a street in New York City in 1900 and then in 1913 – with one car featured in 1900 and the street filled with them 13 years later. That’s what is meant by “disruptive technology,” and Seba thinks Tesla Motors and the “gigafactory” are leading the way in this century. 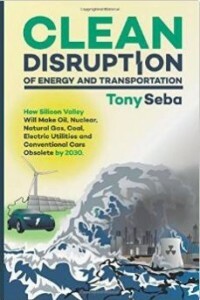 By 2030, Seba thinks that all mainstream cars will be electric and internal combustion engines will be obsolete; he based that radical assumption on a model analyzing the technology’s growth rates in the market. Another good one: it wasn’t Henry Ford who invented the modern automobile industry. Seba thinks a key enabler was General Motors and DuPont offering the very first car loans so that average income people could own their very first cars. NAFA’s Sustainable Fleet Standard Program may be rolled out for fleets in January 2015 or soon thereafter, according to Flansburg. NAFA and CALSTART have been working with 14 fleets on developing the measures for the certification program. Participating fleets will be asked to adopt standards based on core metrics (air quality, fuel efficiency, fuel usage, and emissions reductions) and supporting metrics (fleet plan, baseline fuel use, vehicle deployment, and vehicle operations). For measuring the data, CALSTART is utilizing metrics from the US Environmental Protection Agency, US Department of Energy, and the California Air Resources Board. Fleets will be advised to establish a baseline for measurable data with goals of reducing emissions from that point. One fleet might set 2013 emissions and fuel consumption as the starting point for meeting a certain percentage point in emissions reductions for the next few years. There’s no one alternative fuel or technology being recommended; fleets might hit their targets by reducing the numbers of vehicles in the fleet, converting over to natural gas vehicles, increasing driver efficiency, or other methods. Mike Britt, international fleet director at UPS, spoke during a case study panel on the delivery company being a test lab for nearly every type of alternative fuel and technology – CNG, LNG, hydraulic hybrid, propane, biomethane, electric, and hybrid electric. For the 100,000 vehicle fleet, 5% of them are targeted to be alternative fuel by the end of 2015 and 8% by the end of 2016; he thinks the vehicles will have driven one billion miles on alternative fuels by the end of 2017. During that panel, Michael Brylawski, CEO at Vision Fleet, described the challenges of getting fleets to consider electric vehicles (EVs). The company is working with fleets on improving their usage of EVs. For example, Chevrolet Volts used in fleets are only being plugged in to 30% of their potential. Vision Fleet is working with them on upping it to 50%. He says the company will be making a very big EV deployment announcement in about a month from now. It was very good to actually talk face-to-face with a few folks I’ve been on conference calls with and have exchanged emails with. They see AltCar Expo as an important conference to attend, but the decision is getting trickier than it used to be. As one automaker executive said, the challenge is deciding on which conference to attend. 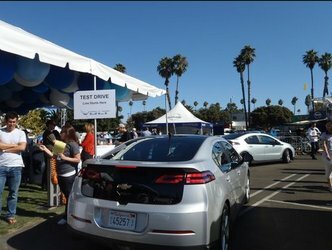 AltCar Expo has spun off two other conferences (Dallas and the bay area) and seems to have fueled a number of copy cats around the country tied to car shows, green conferences, etc. Companies have limited budgets for travel and time spent at events. Driving the Mercedes-Benz B-Class Electric Drive. While Mercedes-Benz would argue with me placing its B-Class in other another vehicle category, I would say that it’s the very first ever electric crossover, or SUV, to go on the market. I thought it was going to be the Tesla Model X, which is rolling out next year. It was also interesting to drive the B-Class F-Cell; about 70 of them are coming off lease and are available as certified pre-owned vehicles. Mike Calise, senior director, electric vehicle solutions, partner business at Schneider Electric, shared his “its cooler than” marketing method while introducing speaker Tony Seba. He thinks owning a BMW i3 will be cooler than owning a BMW 7 Series luxury car. Early adopters like to make a statement in their purchases. Southern California Gas Company showed the 2015 bi-fuel CNG Chevrolet Impala in the exhibit tent. The bi-fuel Impala will go on sale late this year with a starting price of $38,210; it’s the first manufacturer-produced bi-fuel sedan to come on the North American market. Looking for an information resource to view the landscape of where clean transportation is heading? Subscribers to the monthly version of this newsletter, Green Auto Market – Extended Edition, have told me there’s nothing else like it out there – and for a much better price than you’ll see with reports released by market research firms. In the extended edition, you read about strategic developments in the industry and can study market data – hybrid and electric sales; installation of alternative fuel stations and electric vehicle charging stations; publicly-traded stock price for several companies in green transportation; and fuel prices including most expensive markets for gasoline and diesel. Will gasoline prices spike in California with fuel being added to cap and trade? Starting in January, transportation fuels sold in California will fall under the cap-and-trade system. 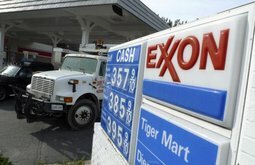 One major oil company is sending a loud warning to the legislature and residents of California: this will cause a big spike in gasoline prices. Edmunds.com and Electric Drive Transportation Association (EDTA) saw August hybrid and plug-in sales numbers very differently. Edmunds.com is seeing a stalled market for battery-powered cars – including hybrids, plug-in hybrids, and battery electric vehicles. One of the largest charging station network companies, CarCharging Group, has been added to Green Auto Market’s list of publicly traded companies to follow. 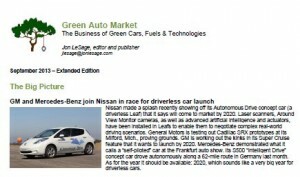 Check out a recent edition of Green Auto Market – Extended Edition. For subscribing, go here and scroll down. And for those of you who missed my announcements, I recently released a white paper, “Hands off the Steering Wheel.” You may be asking, what does this have to do with clean transportation? Quite a lot. I’ve spoken with DMV administrators, automaker and technology supplier executives, and reviewed a number of reports on the subject matter that have been recently released. Google’s announcement in May of this year on its 100 test car fleet launched a lot of coverage and debate in news media and in social media. This paper digs into the legislative, liability, safety, and traffic congestion issues – and what states and the federal government, and automakers and technology companies, are doing about it. Plus, when these cars are likely to show up on our roads beyond the testing process. Tesla wins right to operate retail stores in Massachusetts. Massachusetts’ state Supreme Judicial Court granted Tesla Motors to operate retail stores in the state today. The state’s highest court upheld a lower court’s decision to dismiss a lawsuit filed by the Massachusetts Association of Automobile Dealers and a few individual dealers against Tesla. The court ruled that the case lacked standing to block direct Tesla sales under a state law designed to protect franchise owners from abuses by car manufacturers. Tesla operates one retail store in the Boston area in the Natick mall; in March, Tesla won approval to build another store on West Central Street in Natick. 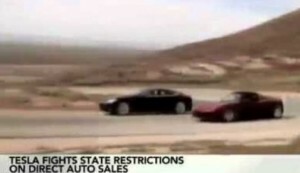 As for other states: Nevada is allowing Tesla to make direct sales in the state as part of its deal with the automaker to provide $1.3 billion in tax breaks for its “Gigafactory.” Earlier this year, New Jersey’s Motor Vehicle Commission pulled Tesla’s license to operate two stores; that was followed in June by the General Assembly passing legislation that would allow Tesla’s sales to resume – if the bill becomes enacted into law. Tesla is not allowed to conduct direct sales in Arizona, Maryland, and Texas, the company said. And in other Tesla news…….. The “Gigafactory” deal went through in Nevada; Gov. Brian Sandoval signed tax breaks worth up to $1.3 billion and a measure allowing Tesla Motors to sell direct to Nevada residents……. Vanity Fair has named Tesla CEO Elon Musk No. 1 on its list of “disrupters” (versus “powers that be”) in technology, entertainment, finance, and politics. Hyundai Motor Group is entering the battery electric market with its Kia Soul EV. It will cost $33,700 before shipping and government incentives. It gets an average of 93 miles of range on a charge, compared with 84 miles for the Nissan Leaf. Kia plans to offer a 36-month lease to start at $249 per month with $1,999 due at signing, though it will announce a final lease offer when the car arrives in US showrooms (mostly in California) this fall. Sacramento Clean Cities is hosting North American Fleet Forum & Green Fleet Expo on Oct. 15-16. Mark Smith from the US Department of Energy’s National Partner Program and Bill Van Amburg of CALSTART will be speaking on Thursday during a keynote luncheon.The conference offers top level training in alternative fuels in a program presented by West Virginia University’s National Alternative Fuels Training Consortium (NAFTC). 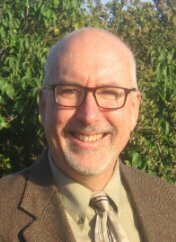 You can also learn the practices of the best managed fleets in the country presented by Tom Johnson’s nationally acclaimed, “The 100 Best Fleets – Top Green Fleet’s Best Practices & Case Studies.” Sacramento Clean Cities is now offering a 50% discount. BMW has been placed on the Dow Jones Sustainability World index for 15 years now, since the inception of the index. This year’s assessment criteria included covered tax strategy; social and environmental reporting factors; human capital development policies; and performance scoring related to occupational health and safety, and talent recruitment and retention. The Biofuels vs. Big Oil fight continues with major biofuels producers (including POET-DSM Advanced Biofuels, which was profiled last week) warning President Obama that they might take their business overseas if the federal government can’t come through. In a letter to the president, the biofuels group urged the government to raise proposed targets for biofuels use this year and adjust the way it was calculated. The American Petroleum Institute was very upset with US Environmental Protection Agency (EPA) Administrator Gina McCarthy’s recent comments that the EPA may be raising the ethanol mandate when it released the revised Renewable Fuel Standard in the coming weeks. Nissan may be adding LG Chem to its list of suppliers for electric vehicle batteries. That would be in addition to its own manufacturing with NEC Corp., says CEO Carols Ghosn. LG may product battery packs at existing Nissan production sites in the UK or US. Working with LG Chem would reduce the cost of its batteries; LG Chem has a very strong reputation in the industry and is supplying several automakers with lithium batteries. The all-electric FIA Formula E Championship began on Saturday in Beijing, China. The United States is being represented by two teams — Andretti Formula E, with driver Franck Montagny; and Dragon Racing, with drivers Mike Conway and Jerome d’Ambrosio. Two US events are scheduled for the spring of next year, with Miami on March 14 and Long Beach on April 4. The single-seat electric racers have been designed for a new audience of motor sport fans. The first of 10 races takes place in Beijing around the iconic Olympic Stadium with the season finale taking place in London on June 27. GreenTech Automotive, which started in 2009 by Democratic Party fund-raiser Terry McAuliffe (now the governor of Virginia), anticipates launching US production by the end of this year. The company has completed construction of its assembly plant in Tunica, Miss. The company has a modest target of producing a few thousand low-speed “neighborhood” electric vehicles per year. Electric vehicle marker ZAP, a company incorporated in Santa Rosa, Calif., and its subsidiary Jonway Auto have sold over 2,000 electric vehicles since June 2014. EV mass production had started at its electric vehicle type-approved certified factory. ZAP and Jonway Auto hosted the first of a series of promotional events in China to qualify new dealerships last week at its headquarters. More than 150 dealership participants attended. The companies’ strategy is to continue to build its sales presence with new dealership networks skilled at developing EV markets for the different regions in China. Living in California is a choice made by many, whether they’re originally from Mexico, Korea, or England; or from parts of the United States where the freezing and muggy weather drove them west. It’s a vacation center, and its cities host major conferences and awards shows. Some companies are moving out of California to Texas, while others quickly fill in those now-empty spaces; they’re willing to pay for the land and the workforce to reach the talent they need, and to be located near key partners and clients. The regulatory climate is tougher for businesses to increase earnings in California, but they keep moving or starting up here. As the state’s Zero Emission Vehicle (ZEV) target shows with other states adopting that policy, what happens in California doesn’t necessarily stay in California. But, how true is that of plug-in electric vehicle sales? The California Plug-in Electric Vehicle Collaborative just announced a milestone: the 100,000 mark has been crossed. At the end of August, 102,440 plug-in electric vehicles (EVs) have been sold in the state since the launch of the Nissan Leaf and Chevrolet Volt in late 2010. Californians are buying about 40% of all the EVs sold in the US. “California’s plug-in electric vehicle market is ramping up, and we expect to see significant growth over the next ten years as customers realize how economical and convenient they are,” said California Plug-In Electric Vehicle Collaborative Executive Director Christine Kehoe. The collaborative, made up of key stakeholders in the EV space, are hoping Gov. Jerry Brown’s goal of having 1.5 million EVs on the roads by 2025 can be realized. As for the rest of the country, EVs just reached their quarter-million sale mark in the US. These announcements were made on the eve of the fourth annual National Drive Electric Week, which is taking place this week – Sept. 15-21, 2014, in more than 130 cities in 35 states. San Francisco is the top selling US city for EVs, with San Diego and Los Angeles also making a top 10 list issued not long ago by ChargePoint. Other cities making the top 10 were Seattle, Austin, Honolulu, Portland (Ore.), Detroit, Washington, DC, and Boston. While EVs are impressive in their US sales numbers since their launch in late 2010 – compared to hybrid electric vehicles in 2001 – some analysts see the excitement waning. As a Californian who probably won’t be moving out this state, I’m proud to see the Golden State take another leading role in technology innovation and ambitious environmental targets. The question becomes: How to increase EV sales across the rest of the country? Get dealer staff trained on effectively selling EVs: As Donovan said, you’ve got very intelligent consumers walking into dealer offices these days. Dealer sales reps need to be well trained and concise in selling the benefits of an EV to a car shopper. That can be overwhelming for dealers these days with all the mobile devices being paired to electronic controls in cars for GPS, driving directions, music, satellite radio, etc. Selling the EV is too much for many of the staff – if a sharp customer finds out the dealer associate doesn’t know what he or she is talking about, they’ll lose that sell. Sale reps are enticed to direct car shoppers to cars that are easier to sell and will give them their sales commission faster. What about a sales program training staff on how to effectively tell that story in less than 10 minutes? What if they can answer all those questions professionally – incentives, home charging installations and what they cost, charging time, driving range, model options, and payment plans would be great starting points for staff training. Reach the four market segments: For automakers and dealer networks, there appears to be four key market segments to reach in marketing programs for EVs. It may be wise to adapt marketing content to each niche. Those interested in the Tesla Model S, BMW i Series, Fisker Karma, and Cadillac ELR, many times are in the near-luxury and upscale luxury consumer segments. They’re most impressed by the performance of the car, the gadgetry on the dashboard, and the brand image – and are willing to pay for them, many times through leasing programs. I would call the second category NextGen technologists; they’re younger consumers who usually buy the next Android, iPhone, or tablet before anyone else does. They bought their share of Leafs and Volts in the early adopter phase. They do have a lot of influence on their peers. Sustainability stewards have environmental concerns and many times belong to environmental groups; they’re likely to have solar panels on their houses, do a lot of recycling, donate to causes, have owned a hybrid for years, and are ready to transition over to EVs. Some of them were among the early adopters. As for the largest group of all: cost savers, which applies to fleet managers as much as consumers. You’ve got to have the numbers in order: acquisition costs with every type of incentive you can find out there; cost per mile compared to gasoline-engine counterparts and current gas prices; maintenance – what’s required and how often (which is a real benefit EVs have over internal combustion engines and all their oil and filter changes). Resale value is another question – it’s still a bit early to have much reliable data on this question, though it hasn’t looked so good for the Nissan Leaf. Ramp up production and deliver more EVs to dealers: The Chevrolet Volt is the most obvious example of this issue to me. But there are several observers who say that most of the EV strategies being followed by automakers comes from the “compliance car” conundrum based on California and a few colleague states aiming for zero emission vehicle targets through regulations. There are a lot of attractive EV deals out there for consumers and fleets with state and federal incentives, and OEM and dealer incentives. They need to reach a wider swath of markets for more consumers to take them seriously. Like most new vehicle technologies, they need to cross a few boundaries to see sales growth – that might include displaying them at car shows; ride and drive events; test programs with fleets and car rental companies; partnerships with carsharing agencies; social media campaigns; and special events such as those being carried out during National Drive Electric Week. There are a few dealers out there standing out in their markets as the No. 1 green car dealer. 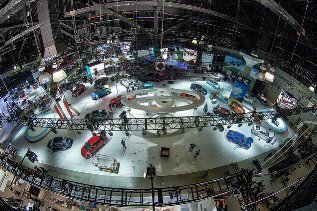 All of this takes more investment, commitment, and staff resources from automakers and dealers – and usually in alliance with event planners, conferences, and car shows. Automakers and dealers will be drivers of change in EV adoption, if they can stand up to the challenge. Work things out with Tesla Motors on its retail stores. Dealer groups are not happy to see state legislative and legal settlements allowing a set number of Tesla retail stores within the state, such as the high court ruling in Massachusetts yesterday. That issue was also addressed in New York earlier this year when Tesla was allowed through a settlement to operate five existing stores within the state. I recommend that it be accepted as a resolution. Tesla is fine with it, as are major automakers. The conflicts end, and large dealers will likely go unaffected. The real competition right now is coming down to Tesla vs. BMW for the near-luxury and upscale luxury segments. As for the franchise vs. corporate store battle, that’s one going back to the origins of property law in England that was carried over to the US. That battle will go on for years to come. In the meantime, it’s seems obvious that Tesla isn’t going away. Retailing is morphing as consumers go through most of the decision-making process on their mobile devices and laptops before stepping into a store to close the deal. Can autonomous vehicles support the endgame of clean transportation? When I was writing “Hands off the Steering Wheel,” the feedback I received from colleagues in clean transportation was a mixed bag. Lack of interest, not seeing how it relates to clean transportation, and ominous dread were the types of responses I received, for the most part. There were a few people, including readers who’ve posted comments in Green Auto Market and on LinkedIn, who see the connectivity between the goals of clean transportation and autonomous vehicles. For me, it’s all about the role ground transportation will be playing in the next 25 years as technology advances rapidly, traffic congestion grows, and for meeting aggressive mandates in greenhouse gas emissions. A Christian Science Monitor analysis piece took on some of these questions in “Driverless Cars: Good for the Planet?” Both sides of the argument are presented – with points made about autonomous vehicles encouraging additional driving for passengers who get to do other things besides drive; public transportation could lose support if people get used to driverless cars to fulfill their intentions formerly met by bus and train rides. On the flip side, the environmental gains that are likely to come from autonomous vehicles include more efficient driving removing all of the constant accelerating and braking that drivers shouldn’t be doing. Vehicle-to-vehicle (V2V) technologies will play an important role in autonomous transportation as vehicles communicate with each other. A car approaching an intersection will be able to intelligently coordinate with other cars – avoiding collisions and less time and fuel wasted stuck in traffic or missing the traffic green light. That applies to highway routes driven and off-ramps, where V2V technology will communicate and reroute cars away from collisions points, highway construction, or storm after effects that usually keep drivers stuck in traffic for hours – emitting carbon and wasting fuel. “Platooning” is being tested in Germany and Australia – where heavy duty commercial trucks carry additional cargo trailers or lead a few cars. Volvo Trucks has participated in the Safe Road Trains for the Environment (SARTRE) in Germany, a European Commission-funded project. It’s a tested concept where several vehicles are electronically linked together in a “road train,” with only the lead driver in active control – many times a Volvo truck driver. Many fleet managers are exploring the possibilities of autonomous vehicles in the long run. For now, using carsharing services is moving them in that direction – whether that be within their own fleet vehicles or outsourcing it to providers like Zipcar and Car2Go. They’re finding they need less cars than they used to; autonomous vehicles will increase the efficiency benefits of carsharing programs through lower operating cost per mile, better fuel economy, and reduced wear and tear on brake pads. The city of San Francisco sees the connection between carsharing and reducing greenhouse gas emissions. The city’s Board of Supervisors may approve a proposal that will reduce the city’s 1,500-vehicle fleet 25% every three years; the fleet will be right-sized within 12 years following this plan. San Francisco will use carsharing services such as Zipcar or City Car Share to implement the law. That follows behind similar policies enacted in the cities of New York, Chicago, Houston, and Indianapolis. Many of the carsharing services are using electric vehicles (EVs) in their fleets. Navigant Research predicts that EVs will play a significant role in the growth of carsharing services. Tesla Motors will soon find out whether it’s deal to set up its Gigafactory in Reno, Nev., will pass through the state legislature – and there could be a wave of opposition. 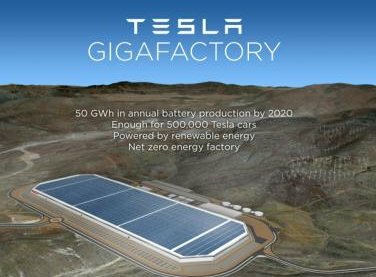 The factory would be impressive – powered by renewable energy and expected to produce up to 500,000 lithium batteries annually, and the Gigafactory will cost $5 billion to build. The challenge is that Nevada Governor Brian Sandoval needs legislative approval for the $1.25 billion package of tax breaks needed to lure Tesla into the state. Speaker of the Assembly Rep. Marilyn Kirkpatrick said she did not know whether or not the deal will pass at a special session next week. Legislators have questions, Kirkpatrick said. The deal will need support of Democrats from the Las Vegas area that are skeptical of the plan, according to a media report. They are leaning toward voting for the plan but have questions needing to be answered. Established business groups might oppose the tax breaks due to how they’ll affect other companies in the state; car dealers may also oppose the Gigafactory as part of their fight to keep Tesla retail locations out of the state. There’s a lot at stake here – “This factory is very important to the future of Tesla — without it we can’t do the mass-market car,” Musk said at a press conference with Nevada Governor Brian Sandoval in Carson City, Nevada. As for other Tesla news……. Tesla CEO Elon Musk says his company may have another “significant” joint project in two or three years with Toyota, and it would be at higher volumes than its recently ended Toyota RAV4 EV alliance…… Musk reiterated his pledge to bring a partially self-driving car to market in three years; it will be developed in-house using sensors and components from suppliers. He thinks all Tesla cars will someday be self-driving……. Tesla is arguing against a complaint filed against it by Georgia dealerships with the Georgia Department of Revenue last week. Dealers say Tesla is breaking the state rules which limit non-dealers to selling fewer than 150 of its electric cars directly to customers each year. The Nissan Leaf broke its own sales record in August – selling 3,186 units and marking its 18th consecutive month of year-over-year sales increases. In the nearly four years that the electric car has been on the market, it’s sold more than 61,000 units. The Chevrolet Volt came it at 2,511 sold, its best performance month since a year ago. A new 2016 Volt will be introduced in January; and nearly 67,700 units have been sold since its launch in December 2010. Sales of the Tesla Model S go unreported, but it was estimated to be about 1,200 units sold in August. BMW saw sales of its BMW i3 leap from less than 400 units in the three previous months up to 1,025 in August, according to industry and analyst reports. Growth in the heavy-duty natural gas truck market was underemphasized in the Wall Street Journal, according to natural gas vehicle (NGV) leaders. The market for these trucks is growing at an annual rate of about 20%, which is “extraordinary,” says NGVAmerica president Rich Kolodziej. Ron Eickelman, president of Agility Fuel Systems and chair of NGVAmerica, says demand for his firms compressed natural gas fuel systems has been very strong. NGV leaders disagree with the premise of the WSJ article that it takes four years for payback to be seen from the fuel-savings; operators can see that payback in as little as two years, say leaders at NGV organizations. In other NGV news, Ryder System, Inc., announced that it’s partnering with Anheuser-Busch to bring in 66 CNG diesel-tractor trucks to its fleet. GE Capital Fleet Services has made an agreement with VNG to support expansion of the CNG refueling infrastructure for light-duty fleet vehicles. Leading ridesharing company Uber has been banned from Germany until a hearing this year by a court in Frankfurt. Uber faces fines up to 250,000 euros (about $330,000) and its local employees could be jailed up to six months if the temporary injunction is violated. In April, a Brussels, Belgium-based court imposed a 10,000 euro fine on Uber drivers for every ride they accept in the city. Uber’s fight continues with taxis and governments. Daimler distanced itself from Uber as it announced acquisitions of two smartphone applications when acquiring Mytaxi and Ridescout. Daimler said these deals will not disrupt the taxi industry, a large client of its Mercedes-Benz cars. Through its Moovel GmbH, Daimler bought the Mytaxi app, which allows customers to hail a cab and other functions using a smartphone. RideScount helps customers find the best way of reaching a destination through both public and private transportation options, along with carsharing services. Daimler has been in the carsharing business through its car2go subsidiary. A Volkswagen Group executive thinks that hydrogen fuel cell vehicles won’t be doing well beyond Japan’s borders. 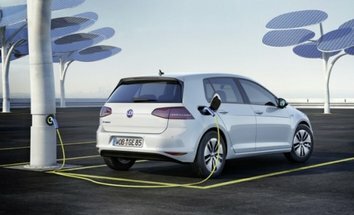 Government subsidies of as much as three million yen ($28,500) by the Japanese government for hydrogen-powered vehicles will probably be too high for other countries to match; and refueling will be impractical even in Japan as handling hydrogen is challenging and building the infrastructure is costly, says Shigeru Shoji, Volkswagen Group’s Japan president. A $5,000 rebate on purchasing a propane autogas vehicle or converting an existing vehicle to propane are available to New York residents, including fleet users. New York Propane Gas Association is making the rebate available to one vehicle per fleet, and the incentive is available through the end of this year. The United States Advanced Battery Consortium LLC awarded $667,452 in an advanced battery technology development contract for next-generation plug-in hybrid electric vehicle applications to Xerion Advanced Battery Corporation of Westminster, Colo. The consortium is a collaborative organization operated by Chrysler, Ford, and General Motors.The competitively bid contract award is co-funded by the US Department of Energy and includes a 50% Xerion cost-share. Average fuel economy for light-duty vehicles sold in the US in August reached an all-time high, according to a University of Michigan report. Those new vehicles reached 25.8 mpg, up from 25.6 in July and 24.9 a year ago. Oberon Fuels had its dimethyl ether (DME) biogas fuel approved by the US Environmental Protection Agency (EPA) for use in commercial vehicle applications. Oberon Fuels secured approval under the Renewable Fuel Standard and is now eligible for several renewable identification numbers (RINs) under the cellulosic and advanced categories. EPA says that Oberon’s DME has a 68% reduction in greenhouse gases compared to traditional diesel fuel. Oberon Fuels is working with Volvo Trucks and Mack Trucks to bring DME to Volvo and Mack trucks.